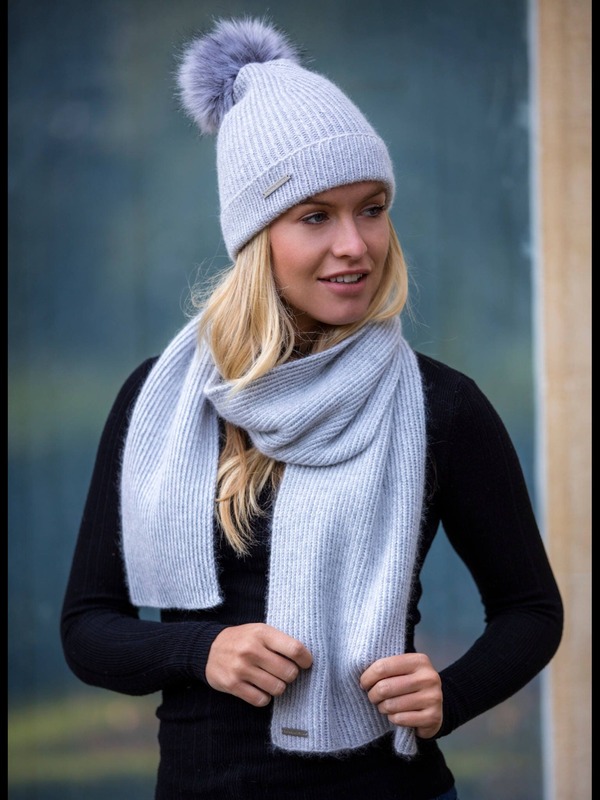 Stunning luxury pure cashmere Pom Pom hat adorned with a luxury faux fur Pom Pom & the exclusive 'Victoria Chester ' logo. These beautiful handmade hats are made using 8 ply luxury Mongolian pure cashmere. 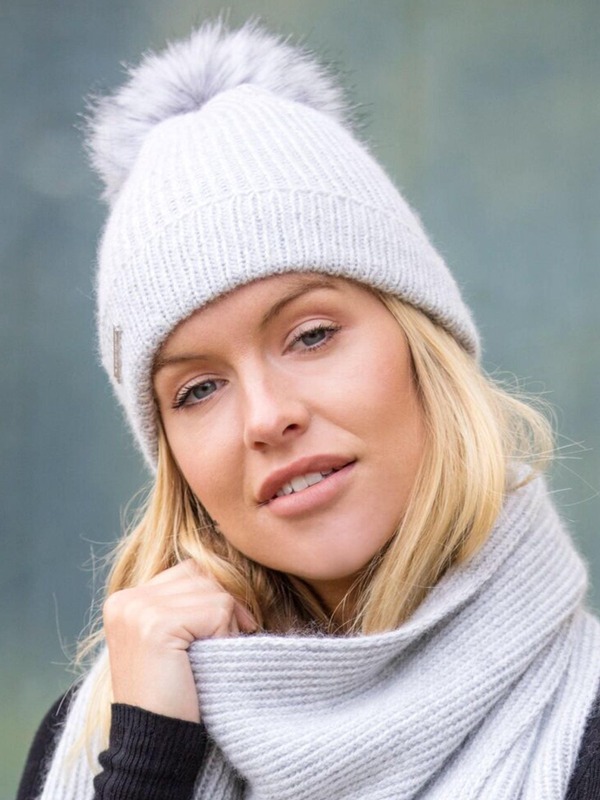 These luxury hats are handmade on a circular needle meaning there is no seam for added comfort & quality & knitted with a reverse rib stitch which gives a nice tight even finish. Each hat is finished with the exclusive 'Victoria Chester' logo. 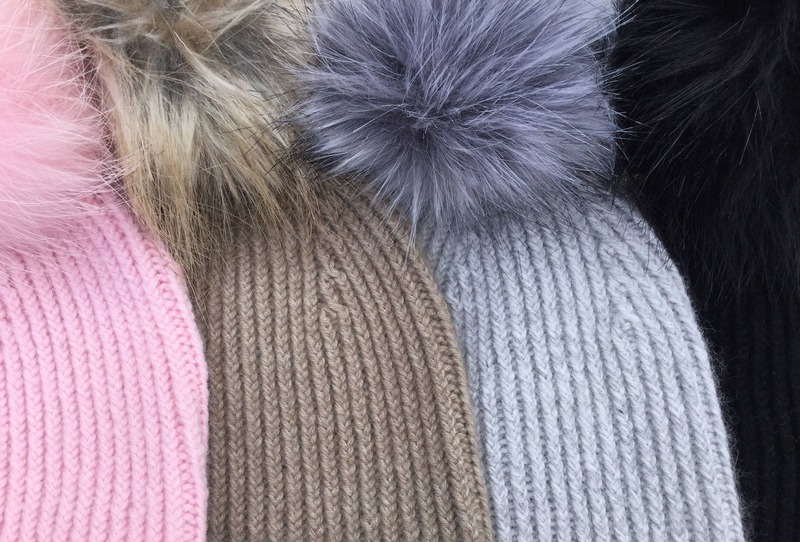 Not only do these hats add a highly stylish accessory for the cooler season, they are also warm & practical - yes you can look fabulous & also be warm! They come in a number of lovely subtle tones for this season plus also black & navy blue. The hat pictured on the lead photo is pale grey. Each hat when laid flat has a depth of approximately 28/29cm (excluding the Pom Pom) & a circumference of 45/46cm which gently stretches to fit most average ladies head sizes. The Pom Poms measure approximately 14/15cm. Fingerless mittens, snoods, headbands & scarfs to match are also available. As with most luxury yarns, cashmere should be hand washed only in luke warm water with very little detergent & gentle agitation. Rinse & gentle squeeze excess water away & lay flat to dry away from direct sun light. All packages are sent by Royal Mail and are sent using their 'tracked' or 'tracked & signed for' service. Tracking details can be found on your despatch notification so you can monitor your parcels progress. Once your order has been placed, it will be shipped within the number of days stated on each individual listing. Please note: these are guideline delivery times and cannot be guaranteed. During the busy pre Thanks Giving & Christmas period the number of days to deliver can be significantly higher so please order in plenty of time. In addition, if you are non U.K., very rarely custom hold ups could delay delivery of your order for up to 4 weeks. This is out of my control. Royal Mail won't consider anything lost until it's been 28 days, so please bear with me should this happen. I LOVE this hat! 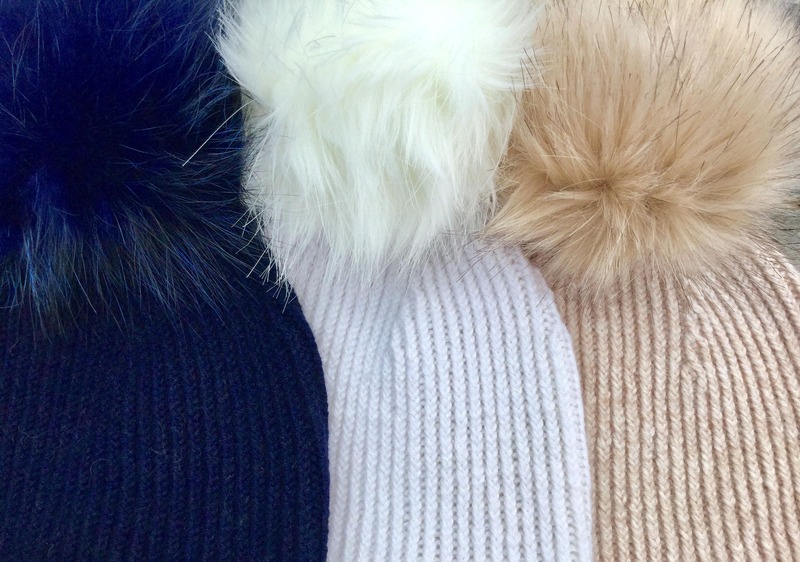 If you are the least bit doubtful about spending the extra for Victoria’s beanies, think no more; these hats are quality through and through! I love that she knows her sources and doesn’t use fox, raccoon or rabbit fur, her faux fur poms are absolutely beautiful. I wore my hat back to the UK & Portugal and received many compliments. Order yours today!